A great game which encourages team work and gets them thinking about shapes and letters. 1. Split your group into teams with about 4 or 5 members in each team. 2. Call out a letter of the alphabet. 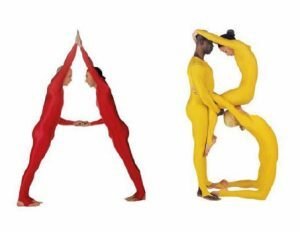 Each team then needs to create that letter on the floor using their bodies. Every person in the team must be involved. 3. After a while give them a countdown, after which nobody can move. 4. The team with the best shaped letter, wins a point. To vary the game, you can also add numbers or shapes for them to create, such as a house, a bus or a person.